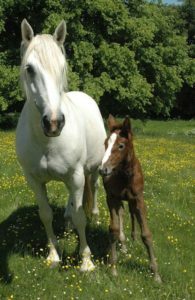 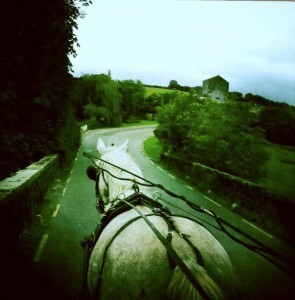 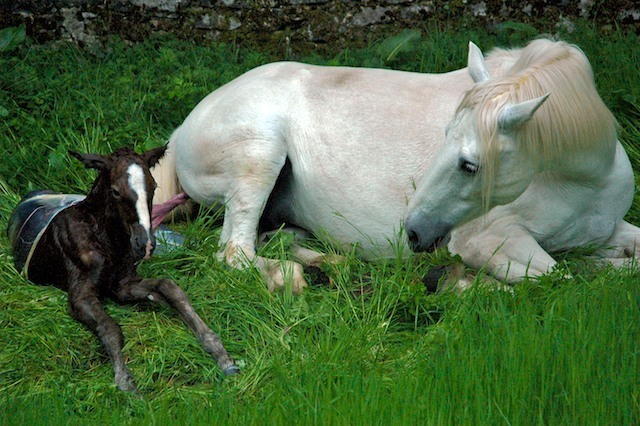 To celebrate the year to come I have decided to share with you the images I took of my Registered Irish Draft mare Silver foaling down her daughter Mystic in 2007. 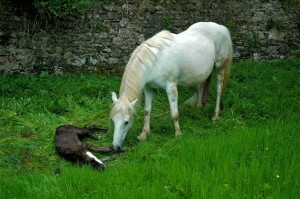 This sequence of images were taken over the 35 minutes that it took Silver to give birth to her filly foal Mystic. 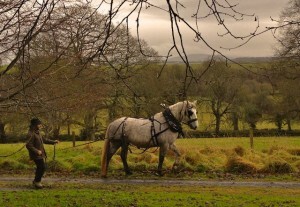 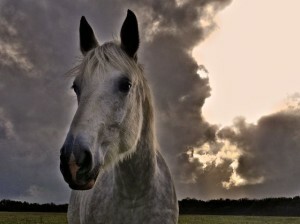 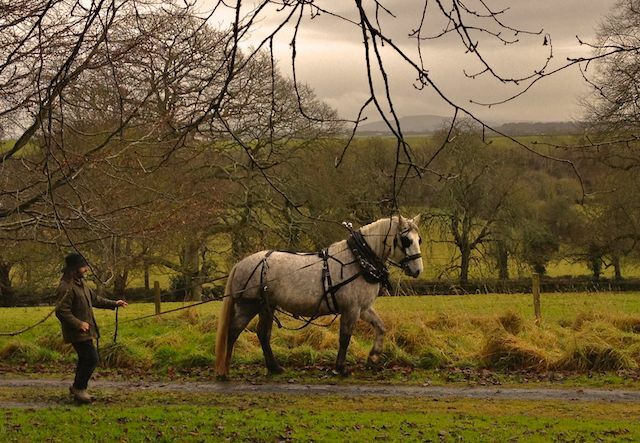 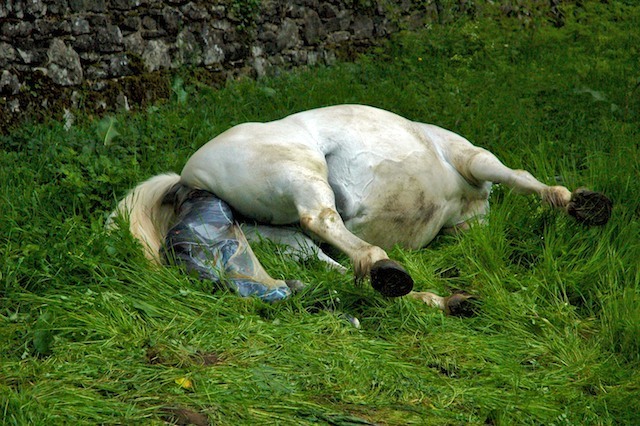 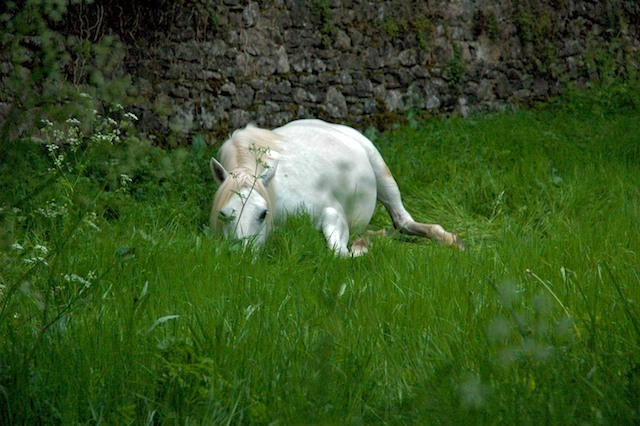 It was about 6am with the smell of rain in the air when I went up the field to see how Silver was doing. Even lying down she seemed restless and colicky so I knew the time had come and she would be giving birth very soon. Pushing again the foals abdomen comes out, at the same time breaking the placenta from across her nose as she is pushed out along the ground. 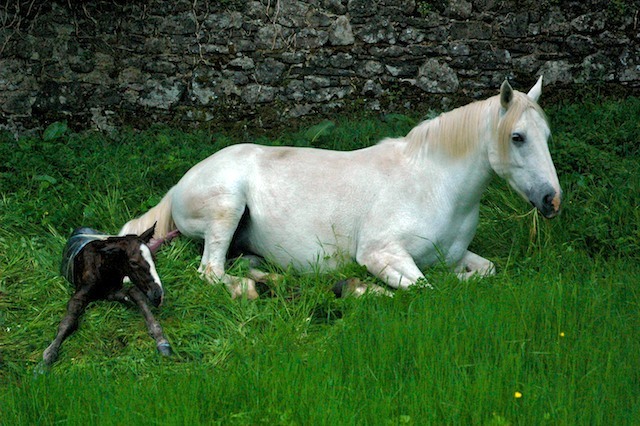 Silver takes a breather munching some grass while the foals back legs are still inside. 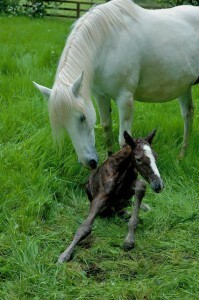 Then Mystic starts to raise her head for the first time. 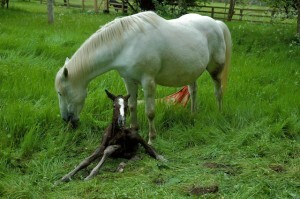 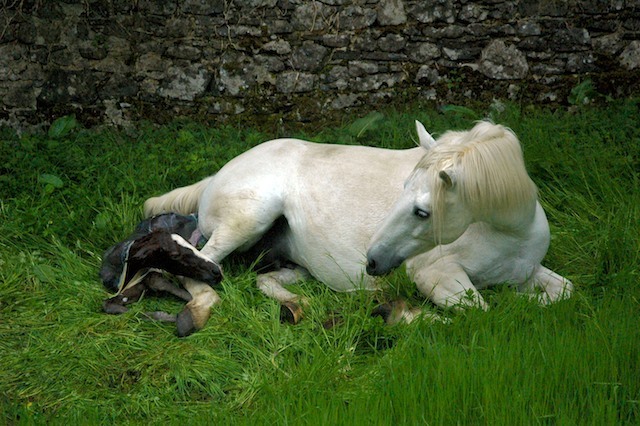 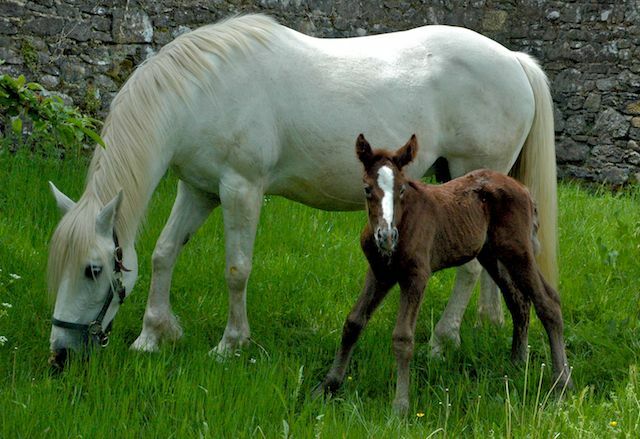 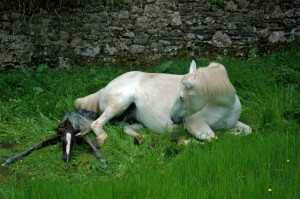 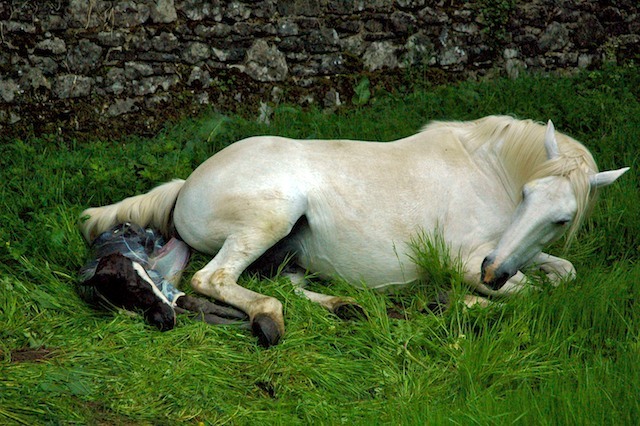 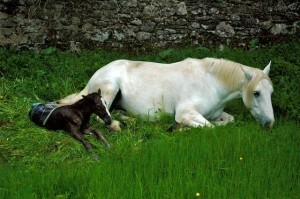 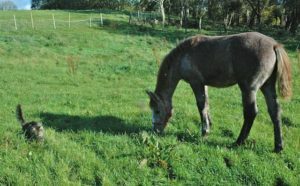 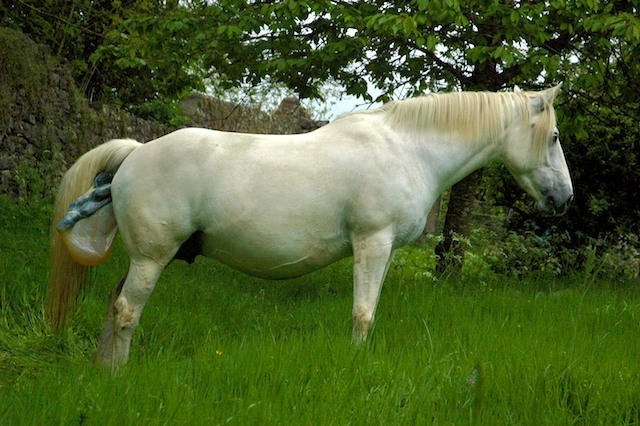 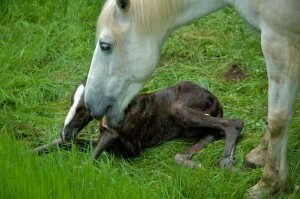 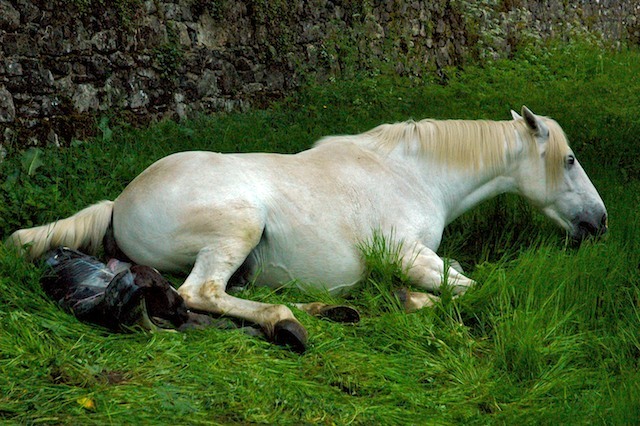 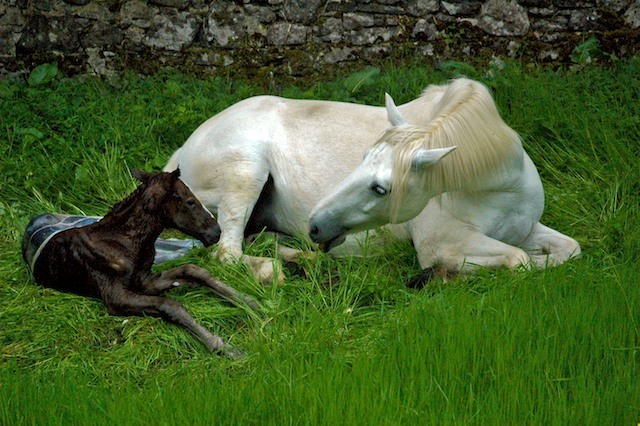 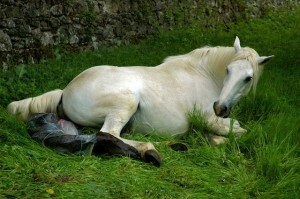 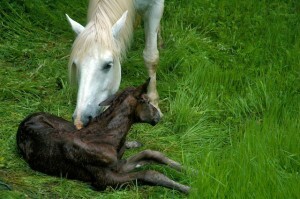 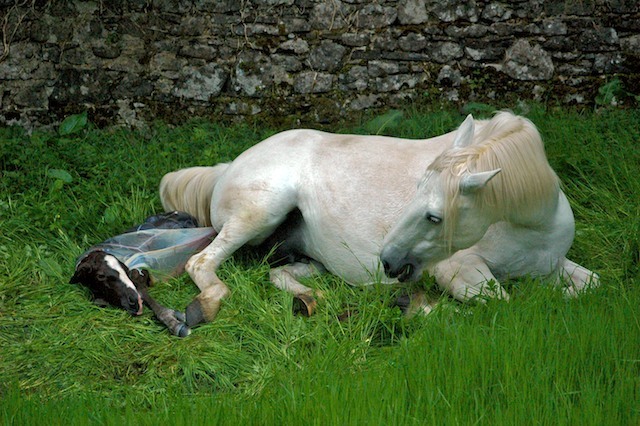 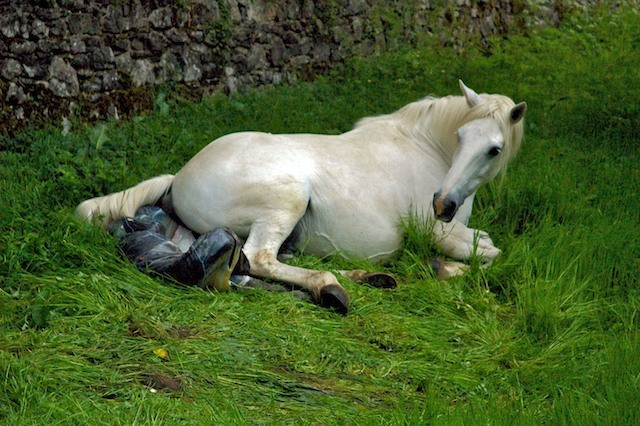 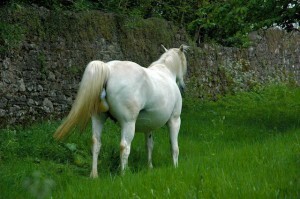 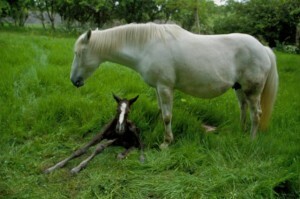 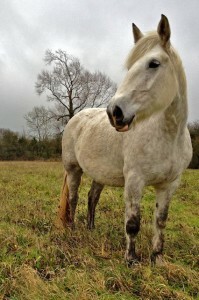 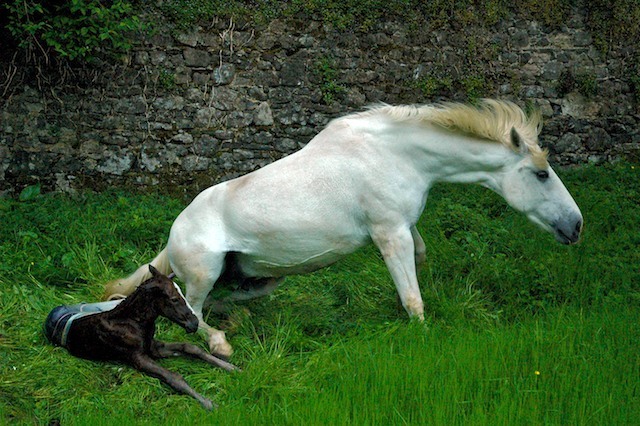 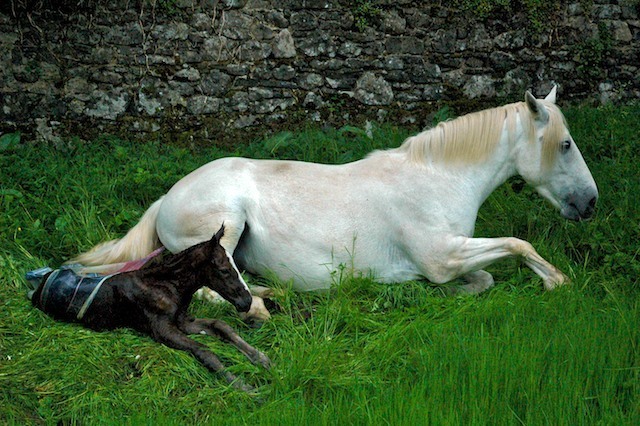 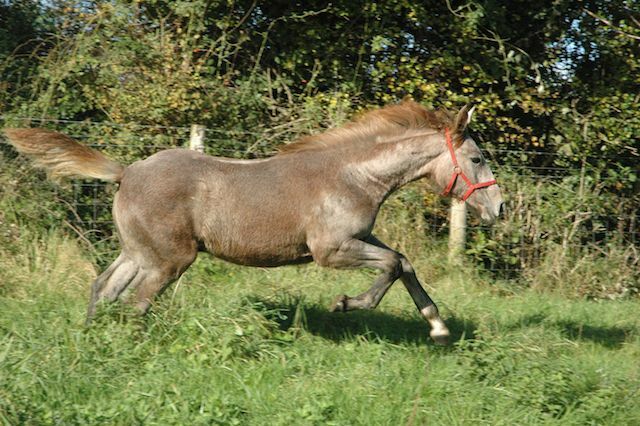 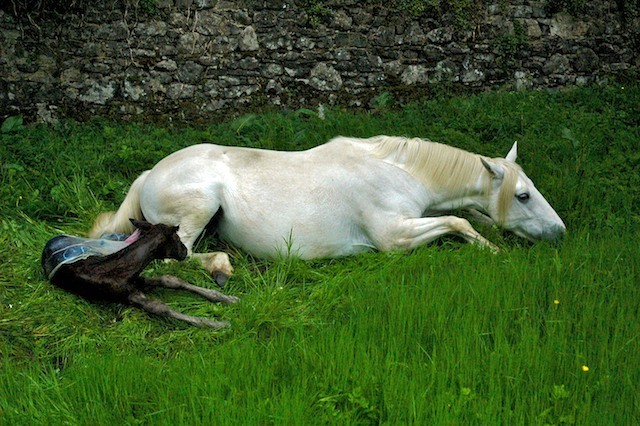 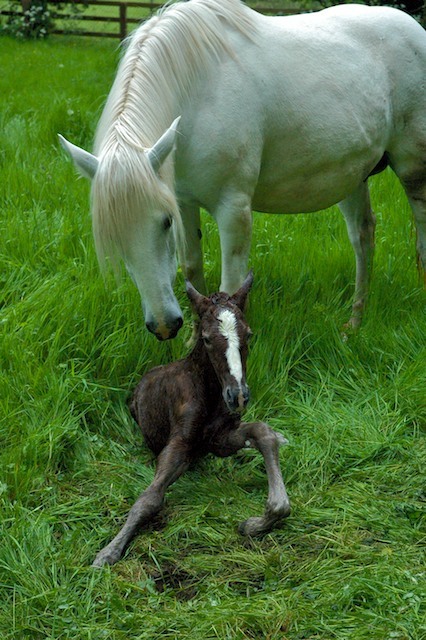 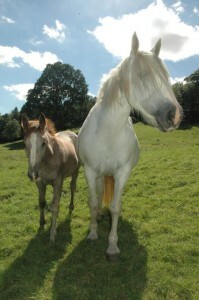 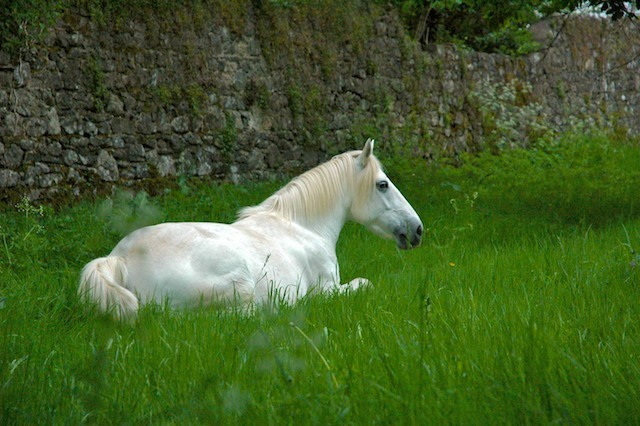 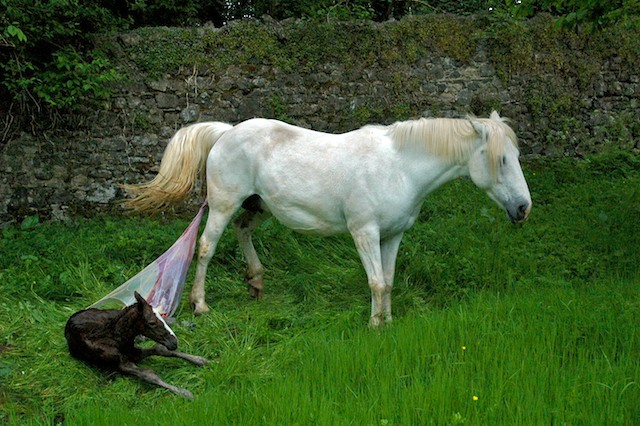 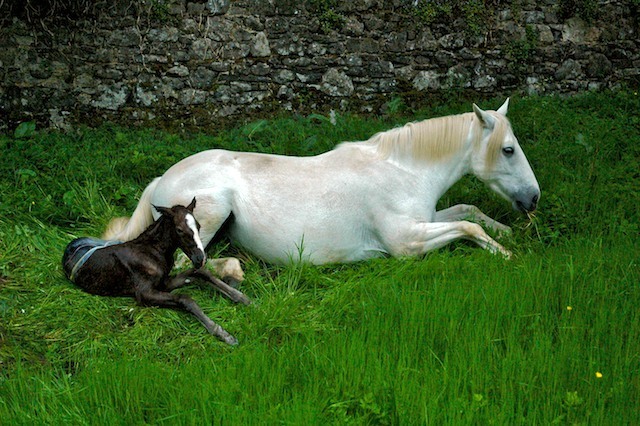 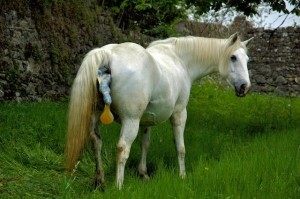 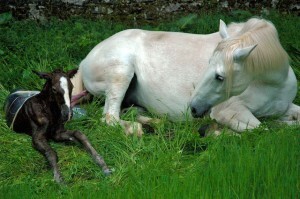 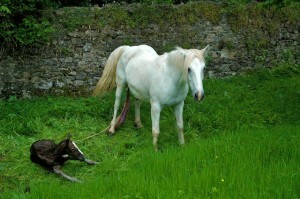 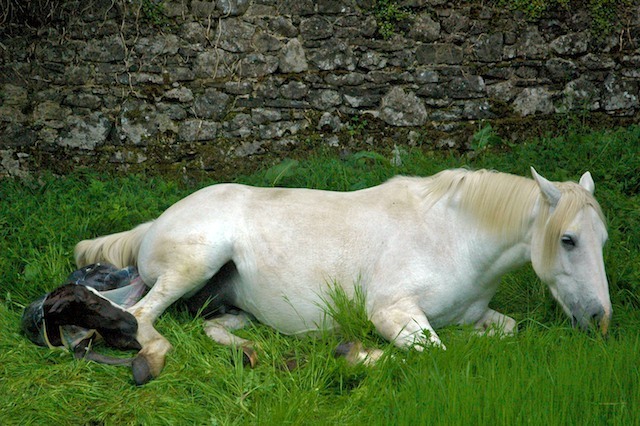 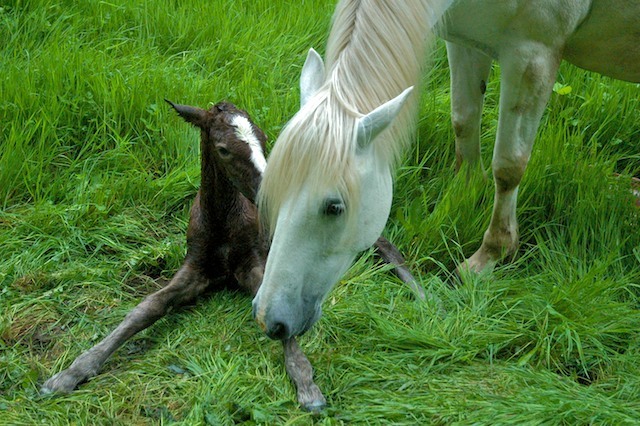 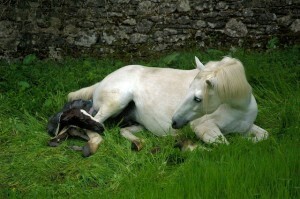 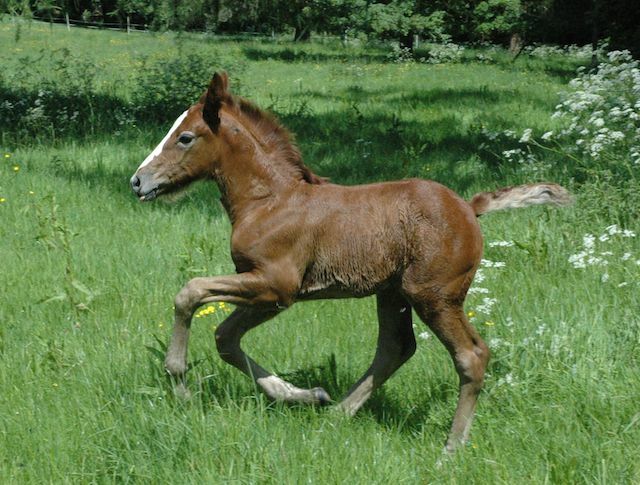 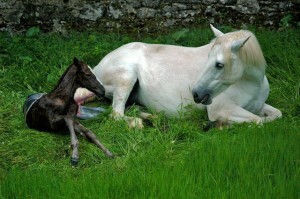 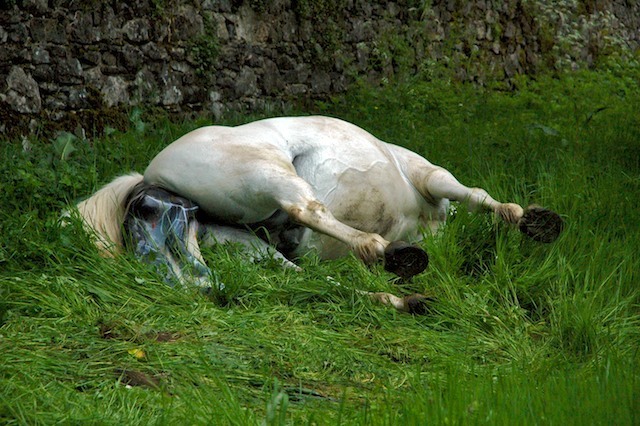 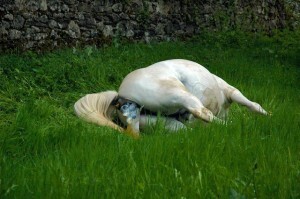 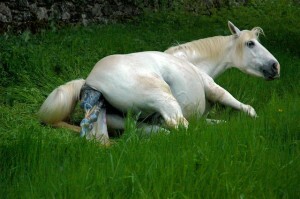 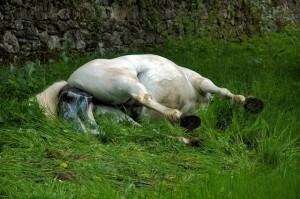 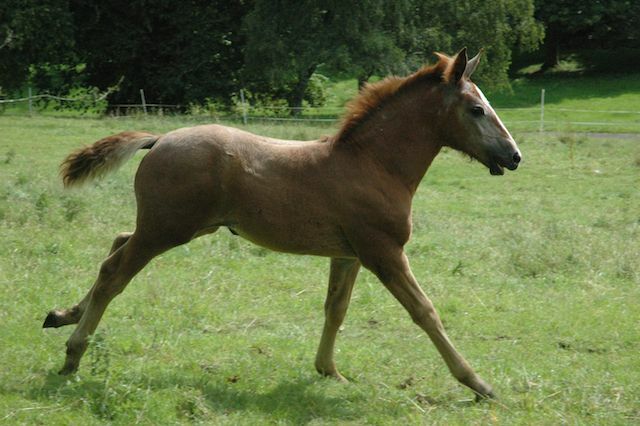 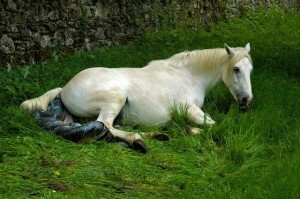 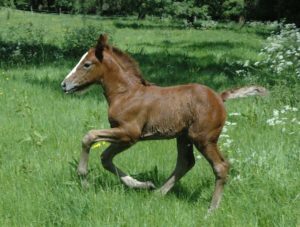 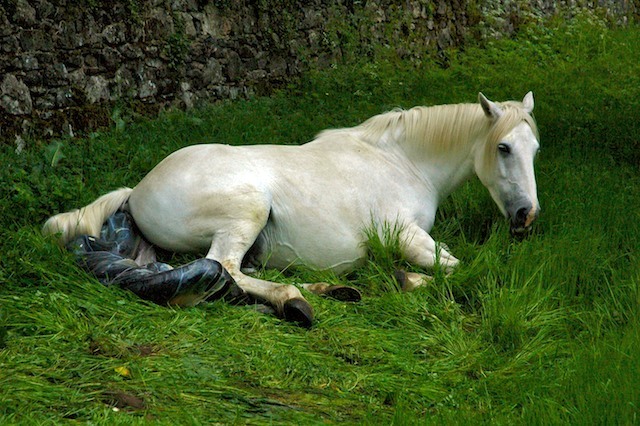 Silver grabs at grass for energy as the foal brakes out of more of it’s placenta. Both front legs are free & she tries to free up her back legs. 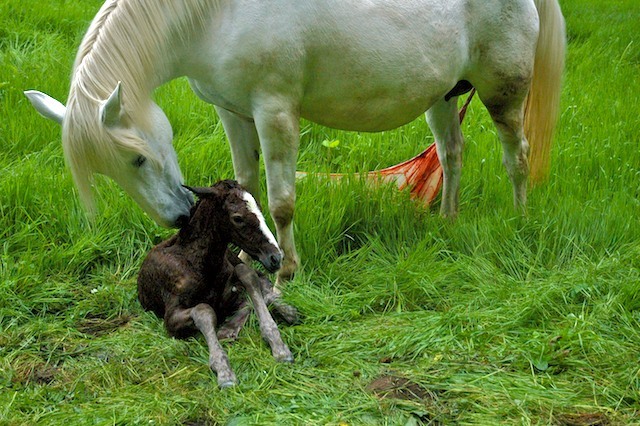 Nuzzling & nipping the foal the placenta still hangs on. Sadly at this stage the rain starts pouring down so I must stop taking photographs and try to get foal up and under shelter with the mare.